Humphrey Bogart and Ingrid Bergman in a scene from the classic film "Casablanca." Here's looking at you, Valentine. Live vicariously through the pinnacle of Hollywood romance on Valentine's Day weekend. Landmark's E Street Cinema (555 11th St. NW) will show the 1942 Academy Award-winning "Casablanca," late this Feb. 13 and 14. "Casablanca" stars Humphrey Bogart and Ingrid Bergman and follows their characters' complicated relationship against the backdrop of World War II-era fascism. 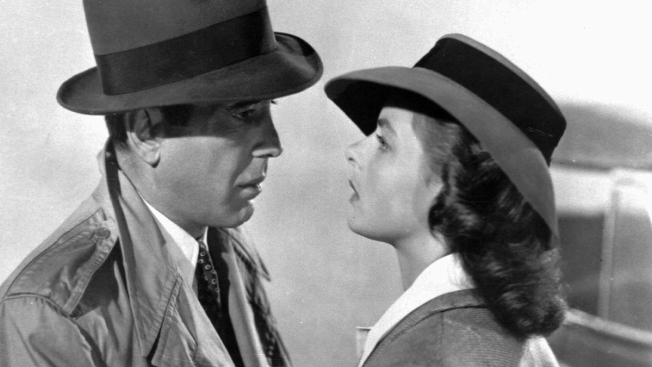 Deemed by countless critics and viewers as one of the greatest films of all time, "Casablanca" is a quintessential choice for a Valentine’s Day viewing. The late timing -- showings start at 11:59 p.m. -- means you won't have to skip out on V-Day dinner, either. Of all the theaters in the world, walk into Landmark's E Street Cinema. You can order tickets online here.